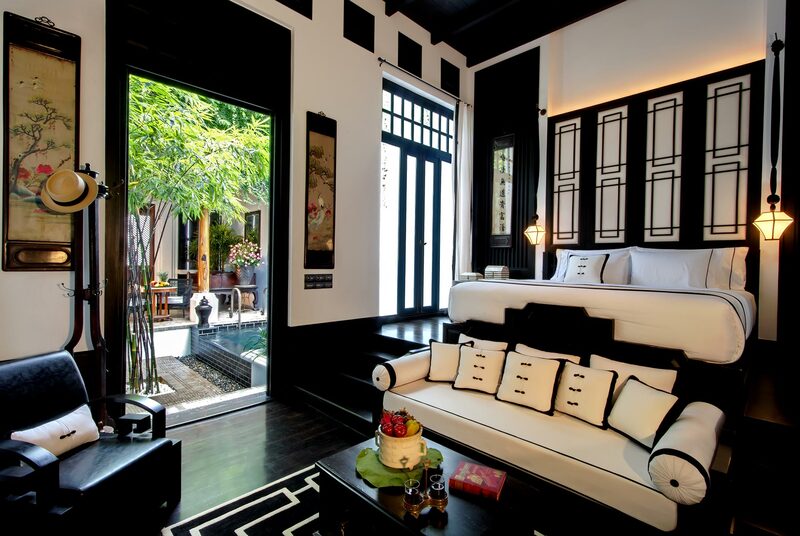 Set on 3 acres of verdant frontage along the Chao Phraya River, The Siam is a 39-suite-and-villa urban luxury retreat located in Bangkok’s Royal Dusit District. Conceived by Krissada Sukosol-Clapp and globally acclaimed architect and designer Bill Bensley, The Siam features Bangkok’ smost spacious suites and is the Kingdom’s Premier urban resort offering intimately private pool villas with rooftop terraces. An irresistible array of bespoke cultural amusements await you at The Siam: explore Bangkok by boat from our private pier; indulge in pampering at our spa; explore the grounds and discover; or simply unwind with a sunset cocktail at our pier.